Cold and flu season is well and truly here. Most of us don’t like piling our bodies with tablets when we’re smothering; it often merely masks symptoms. As well as building up your immunity throughout the season, there are other things you can do. We have compiled a few natural tips for fighting infections; simple things you can do right at home. Wrap up and stay well. 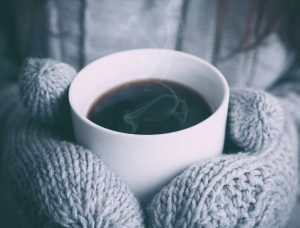 Warm liquids help relieve nasal congestion, help prevent dehydration, and soothe the uncomfortably inflamed membranes that line your nose and throat. And what better way to warm your chilled bones than by drinking our tasty bone broth? It’ll help build that immunity, AND it tastes great on a cold winter’s day. See our bone broth stockists HERE or buy some off us directly HERE and get your next batch today. Either temperature may help you feel more comfortable. If you’re stuffed up and too warm, a cold pack will offer relief but if you are feeling a chill, use a warm pack You can buy reusable hot or cold packs at a local pharmacy (they’ll be packed with them at this time of year), or you can go DIY and make your own. Take a damp washcloth and heat it for 20 seconds at a time in a microwave or take a small bag of frozen peas to use as a cold pack. Steamy showers moisturise and help open the nasal passages and relax you. Opt for a bath if your muscles are tired and sore and keep a hot water bottle close by in case you’re sitting still for long periods of time without moving; the more blood flow you have, the better you’ll feel and the less sore the muscles will be. Gargling can moisten a sore throat and bring temporary relief. Try a teaspoon of salt dissolved in warm water, four times a day. Or, if your not partial to some salty water, try and honey and lemon variation. Add one tablespoon of lemon juice in two cups of hot water and mix in one teaspoon of honey. Let the mixture cool before gargling. Blowing your nose regularly when you have a cold will kelp clear your sinuses. But if you blow too hard, the pressure can cause an earache. The best way to blow your nose: Press a finger over one nostril while you blow gently to clear the other.